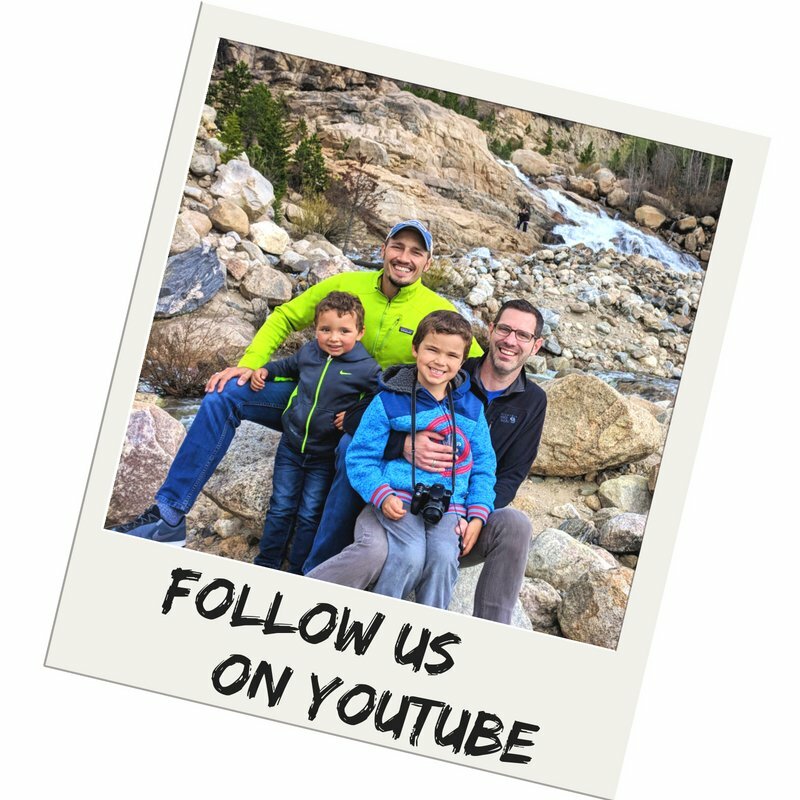 When you travel with kids a lot, you tend to do a lot of the same activities, but in different towns and cities. I feel like I’ve been to the same park a thousand times. How many times can we visit the beach and not swim because it’s too cold? Well, we were excited to take the kids to the Butterfly Pavilion in Denver (Westminster actually) because it was something different and from what everybody said, it would be amazing. 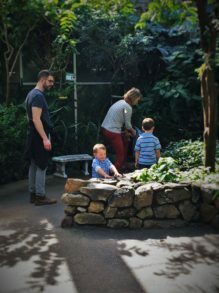 We always kind of take the cautious approach to thinking something is amazing when EVERYBODY says that, so as we pulled up and saw what didn’t seem like a huge place with loads of butterflies… and snow outside… we weren’t crazy excited. Once inside though, we realized that the Butterfly Pavilion was about more than just beautiful butterflies. 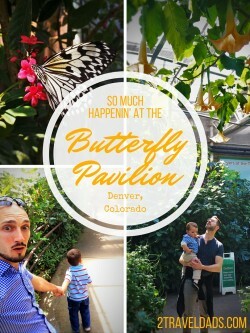 If you’re staying north of Denver, the Butterfly Pavilion is an easy place to get to any day of the week and if you’re in downtown Denver proper, you just need to plan accordingly, but you MUST visit the Butterfly Pavilion. 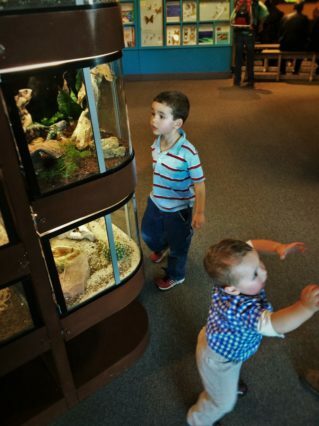 Are those butterflies in the touch tanks? Let me start by saying that 1.) there’s nothing wrong with gentle activities that show kids and adults how to appreciate the more delicate side of life and 2.) there’s nothing bad EVER about learning and appreciating the science of how the world works. 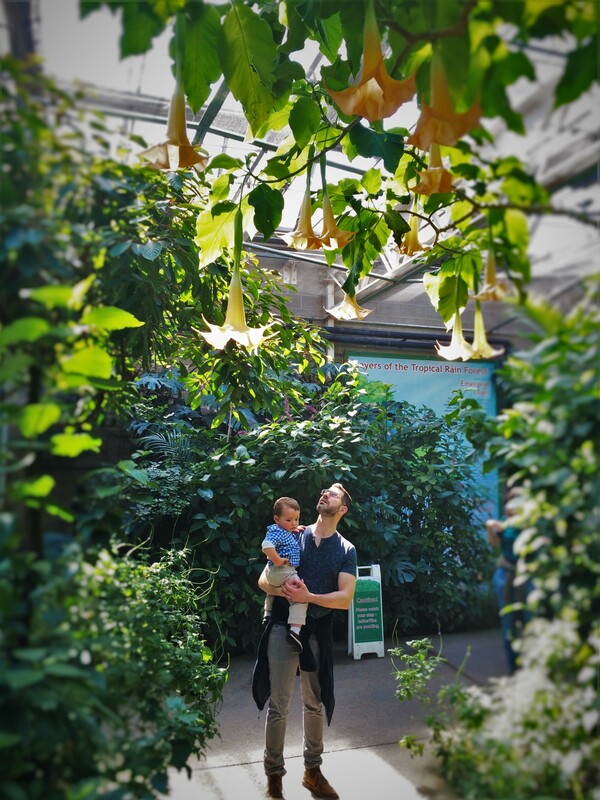 The Butterfly Pavilion was perfect for both things. Also, there is so much more there than butterflies. 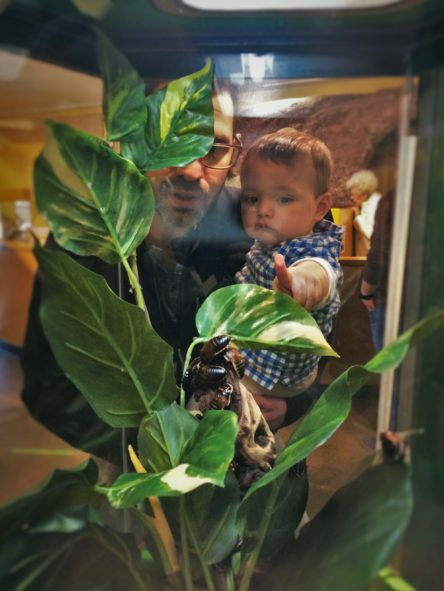 The Butterfly Pavilion has an amazing collection of bugs ranging from cockroaches to tropical spiders, praying mantises to ants. Really, the diversity of the bugs was phenomenal. 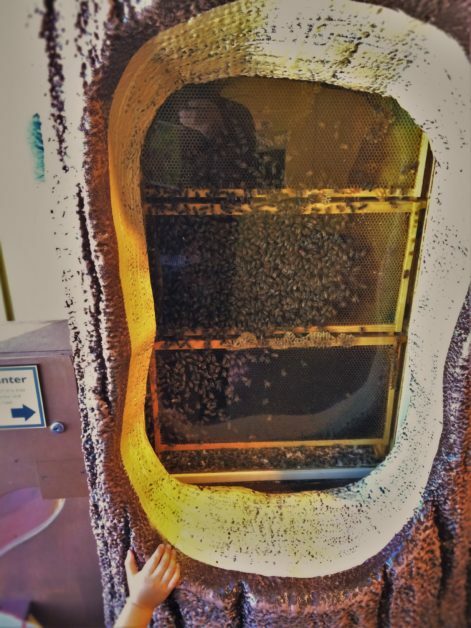 Oh, and one of the most fascinating displays that was the most captivating for the kids was the bee hive. 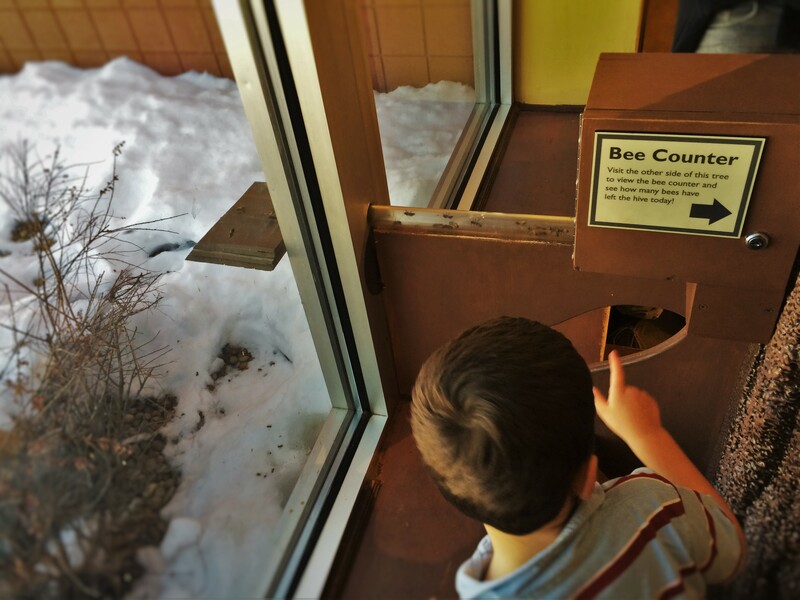 The Butterfly Pavilion has a cut-away bee hive with a clear tube leading to the outside. You can watch the bees flying in, going through the tube, scurrying about the hive. And there’s a bee counter that tells you how many bees are going in and out of the hive. 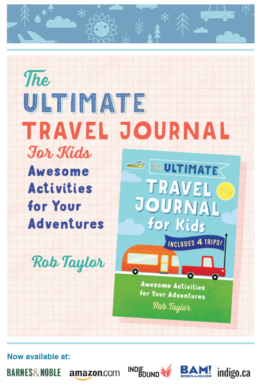 Tip: one of our favorite books ever is Ant, Ant, Ant! : An Insect Chant. Our oldest can recite it and was beyond thrilled to see so many of the characters from the book at the Butterfly Pavilion. 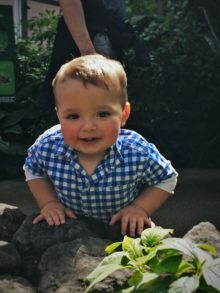 You know what else was pretty darn “tough guy” about the Butterfly Pavilion? 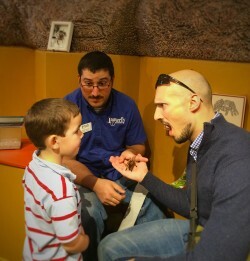 Holding a tarantula. That’s right. Even though the kids didn’t want to hold her (and neither did Chris) I totally held and enjoyed the experience of meeting Rosie the Chilean Rose Haired Tarantula. She was soft, gental and a little curious. It was funny, because I was nervous for some reason, but yeah no, totally not scary in the slightest. 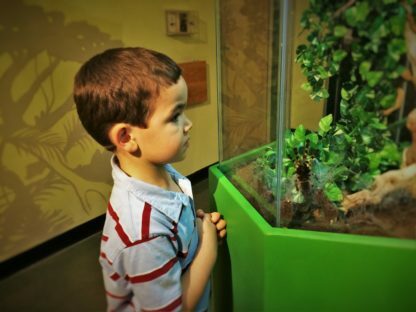 Fun fact: the Butterfly Pavilion has a breeding program for their tarantulas and they provide hundreds to research facilities around the country. The benefit to this is that tarantula poaching is actually a big problem and poachers do try to smuggle them into the State for pets and research. 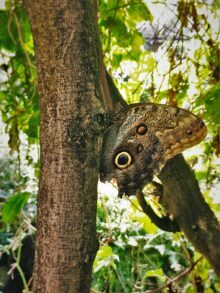 The Butterfly Pavilion is helping tackle the problem. 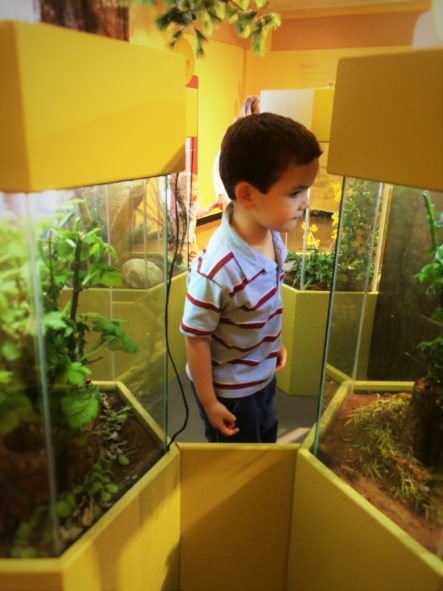 No, there are no butterflies for visitors to touch, but the Butterfly Pavilion also has a great aquarium area. Does that seem weird? Totally not. 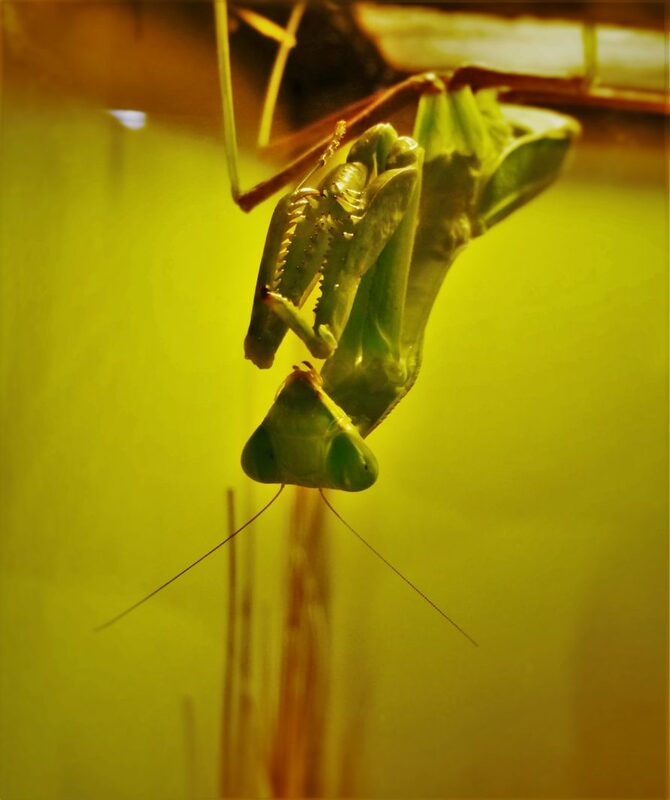 The aquariums of the Butterfly Pavilion feature fish (of course) but also a great collection of invertebrates. 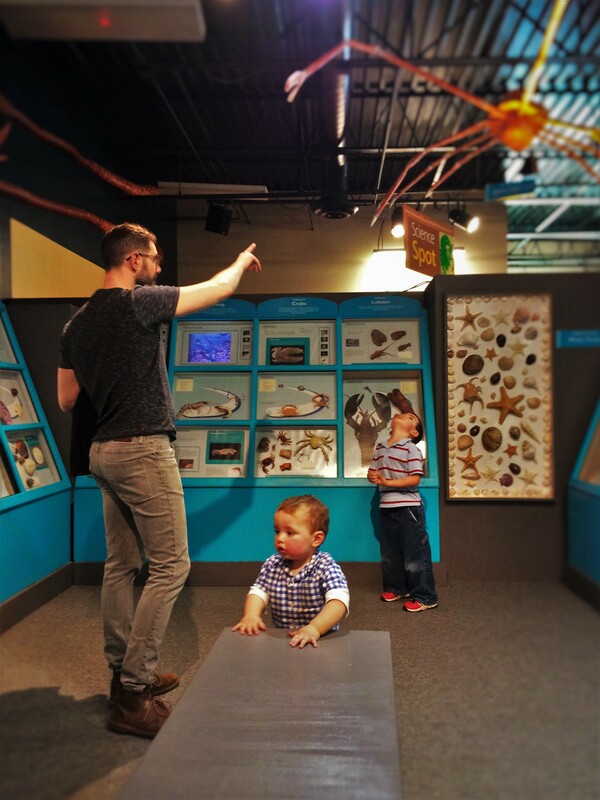 Insects, like butterflies, are invertebrates, so why wouldn’t you include marine invertebrates too? 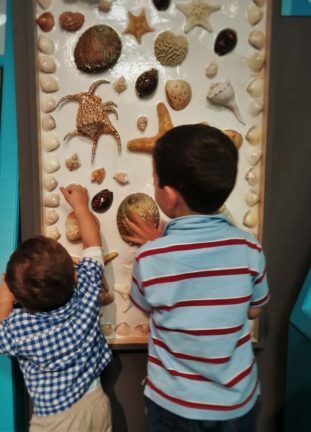 The touch tanks were well staffed with some younger volunteers who were plenty knowledgeable about the creatures and they showed great patience with our kids (thank goodness). 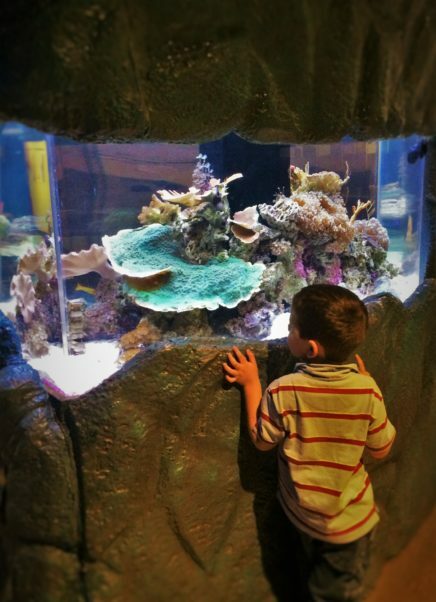 Tip: if your kids have a lot of experience with aquariums and touch tanks, be sure that they know the rules for the particular one they’re visiting. 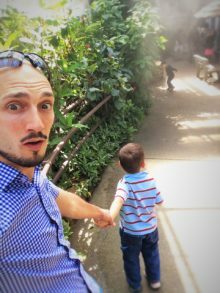 Example: the Butterfly Pavilion has the rule that you touch with the back of your fingers, which is very different from at home. 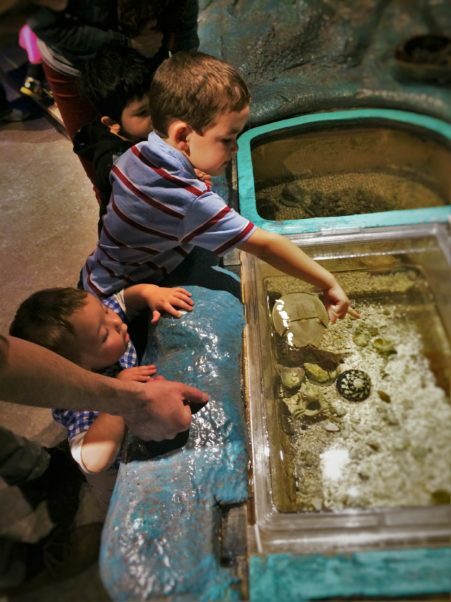 Something that we loved here was petting the horseshoe crab. Strangely enough, we had a horseshoe crab encounter the prior day too but at the Denver Zoo. It was nice to walk up to the tank and have the Butterfly Pavilion fellow tell us all about the horseshoe crab and his history. There was also a very large, very old hermit crab we got to meet. Really, it was a great side-show to the butterflies… which we’ll get to. 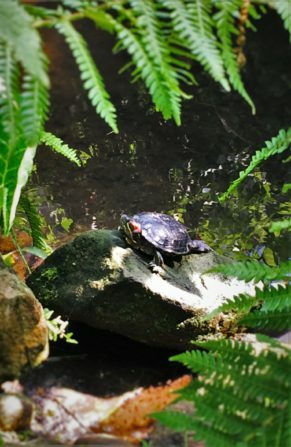 We made it past the tarantulas and the urchins and fish and then boom: we walked into the most perfect, warm, tropical greenhouse swarming with colors. I can’t imagine anybody not being beyond amazed when they were in the snow ten minutes prior and now they’re surrounded by tropical flowers and butterflies. Really. Watching the kids react to the warmth was great, because all of the sudden jackets fell off and there was crazy jumping and happiness. It was like in a movie, but it was real. That was one of the happiest parent moments: watching complete joy overtake the boys simply because it was warm and beautiful. 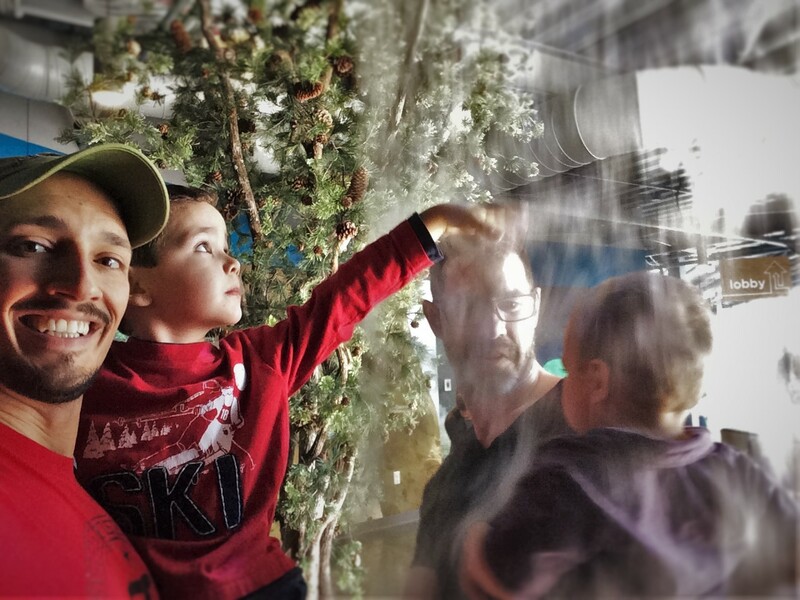 Tip: yes of course, take pictures, but then just enjoy how happy everybody is in the rainforest-like butterfly garden. There are so many varieties of butterflies and it’s actually kind of a fun game to try to match them up and see how many you can spot. We saw an awful lot of them, but I kind of think we just don’t have the knowledge and entomological eyes needed to tell them all apart. Either way, we loved watching them all and talking to them. 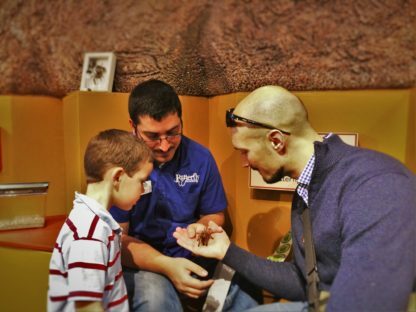 A day at the Butterfly Pavilion ends with some hands on exploration of digging in the dirt and playing with worms. There is the enormous ant farm to spy on and then the gigantic spiderweb to climb on. A slide for sliding and flowers for sitting on. Really, it’s the last hurrah before you head back into the real world. 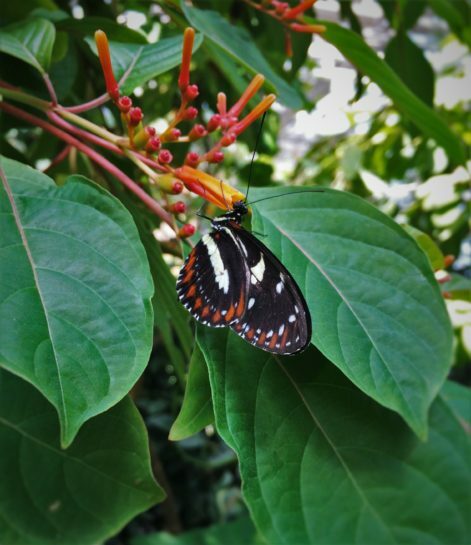 There’s so much more to the Butterfly Pavilion than just butterflies, but OMG, the butterflies are amazing. 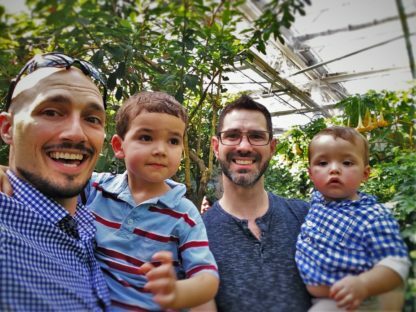 Can you tell that we loved our time at the Butterfly Pavilion? 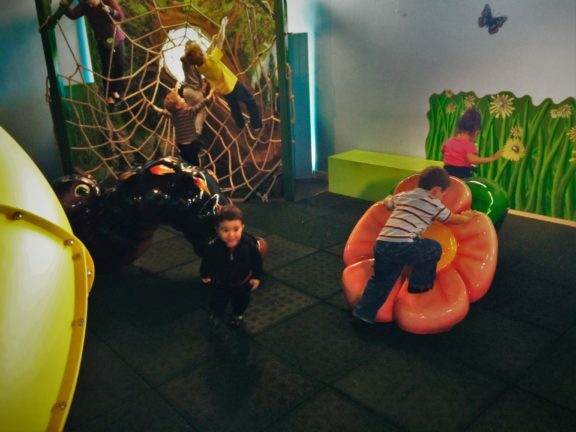 The kids loved it and we enjoyed watching them explore. 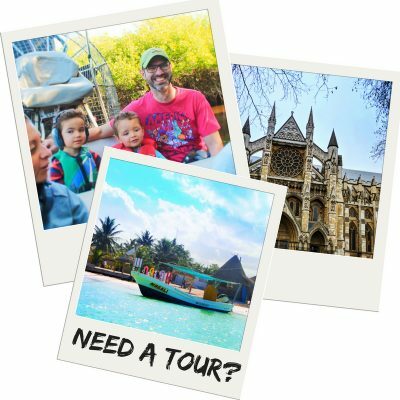 We highly recommend it as a two hour activity for absolutely every type of traveler. We’ll be back for sure, and will take even more pictures capturing as many of the amazing moments we all had. 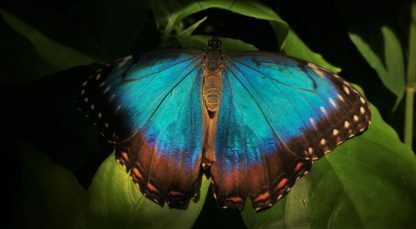 I’ve been a few butterfly pavilions, they’re always lots of fun. I also enjoy that they are warm and beautiful! 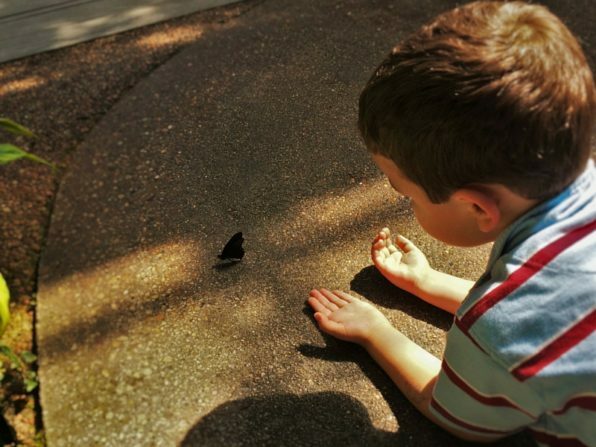 We went with my nephew once when he was about 5 and he hated the butterflies flying near him. Butterflies are such fragile, vulnerable but beautiful beings, butterfly parks are great places for kids who can learn to appreciate such natural beauty which will inculcate in them respect and love for the earth and environment. They always seem to be called pavilions! 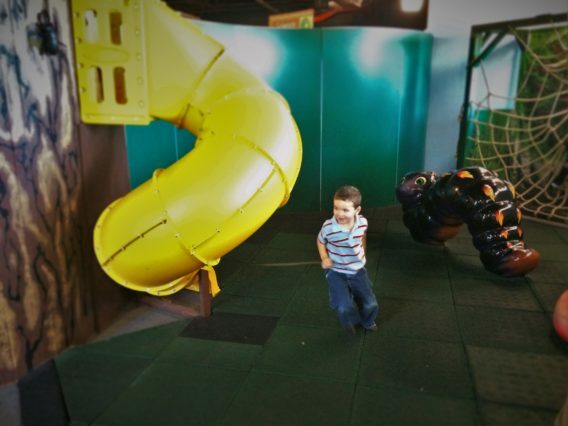 We had a great time here with my nephews- it is a great place to go with kids. I love butterflies too! So it was a great excuse to go! 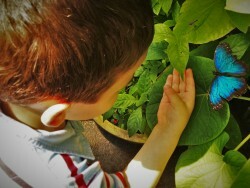 We went to a Butterfly place like this in Branson MO, and it was fantastic. My daughter loves butterflies, so she was soaking up everything. She learned more there than any book could ever teach her! Your kids look like they had a blast there.